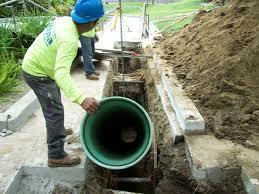 Best Price Guarantee for any PVC Gravity Sewer Pipe Installation, Repair or Replacement. 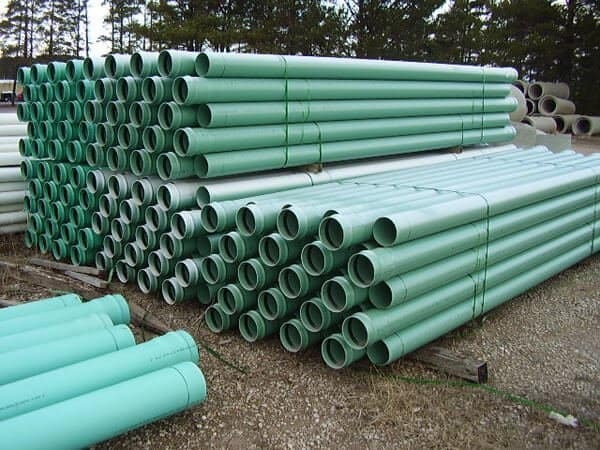 PVC sewer pipes, made from sturdy polyvinyl chloride, are widely used in residential and commercial sewer applications in New Jersey. Their value, performance, and longevity has led PVC sewer pipe installation to overtake the use of other materials like copper and cast iron. It’s stiff, durable, and very importantly, it’s highly water resistant. Unlike old metal pipes, PVC sewer lines won’t rust or corrode from exposure to water and organic materials. Their lifespan can be up to a century, helping prevent homeowners from having to worry about sewer line replacement in the near future. 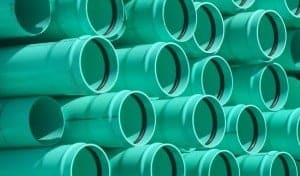 If you’re having sewer issues like collapsed or burst pipes in NJ and need sewer repair services, you may want to consider replacing metal pipes with PVC. 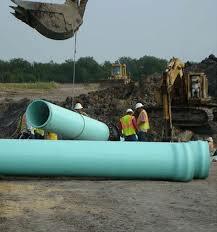 PVC sewer pipe installation has several benefits over metal or fiberglass pipes. Stiffness and durability. When compared to fiberglass, PVC sewer pipes are stiffer, especially in larger 18-60″ pipe size ranges. This makes them less prone to pipe collapse. They won’t lose their stiffness over time, and at low temperatures (0 degrees F), studies have shown that they won’t become brittle and fracture easily. This reduces the risk of a burst sewer pipe during the winter. Flexibility. PVC resists strain from bending and flexing, and this elasticity makes PVC well suited for NJ underground sewer pipe installation. Better corrosion resistance. Cast iron sewer pipes, which were popular in the past, last several decades before succumbing to corrosion. The running water itself can cause corrosion, along with scale buildup, but another risk in sewer lines is sulfuric acid corrosion. The bacteria that live in wastewater release sulfides as a metabolic byproduct, and through a series of chemical reactions, these chemicals are converted into sulfuric acid, a highly corrosive compound that will damage metal pipes. PVC is resistant to sulfuric acid corrosion. Coefficient of friction. The interior of a PVC gravity sewer pipe is quite smooth, with low resistance to water flow. This prevents layers of organic slime from building up inside the pipe, which could cause it to become clogged. Thermal insulation. Unlike metal pipes, PVC has a low thermal conductivity, making it very freeze-resistant. 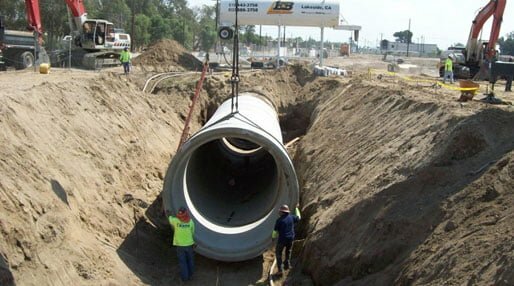 These properties of PVC gravity sewer pipe have led it to increasingly become the usual standard for residential and commercial sewer line installation in New Jersey. 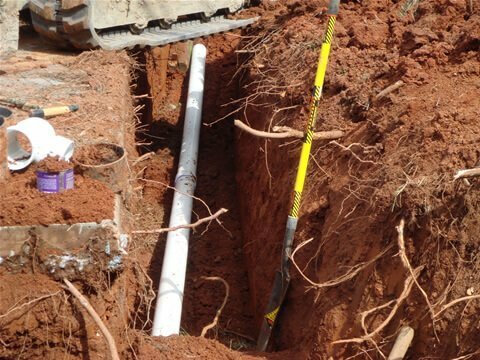 If you need to replace old metal sewer pipes on your property, you may want to consider replacing them with PVC if possible. 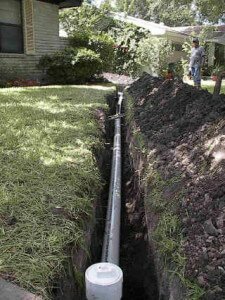 PVC sewer pipe replacement tends to be quite cost-effective compared to other materials, and for contractors, it’s surprisingly easy to work with. Once it’s installed, it will last for decades to come, with a relatively low risk of further problems when compared with metal pipes. 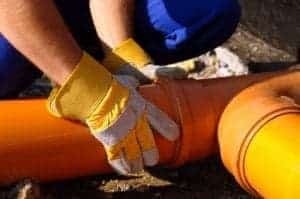 To find out more about our PVC sewer pipe installation services, including trenchless sewer replacement in NJ, give us a call any time at A1 Sewer & Drain, at 201-645-0888.